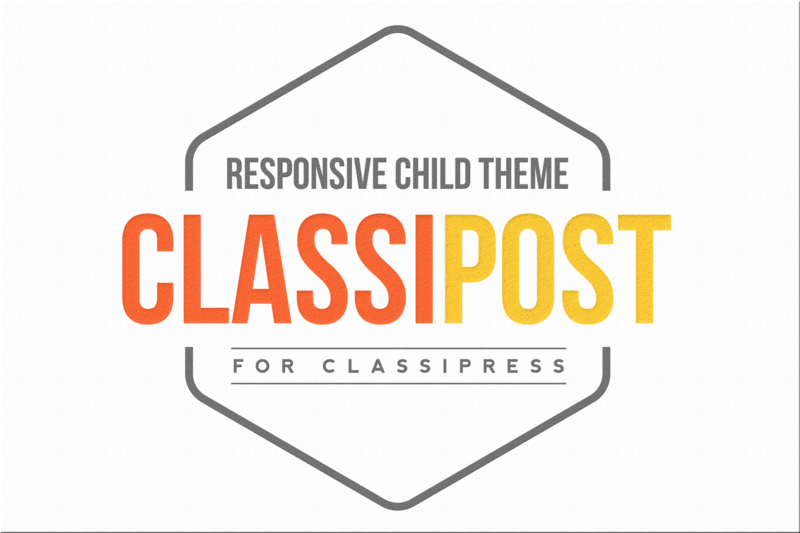 ClassiPost, the most responsive and user-friendly child theme for ClassiPress on both desktop and mobile devices. There are many features built into ClassiPost so take your time and have a look at the DEMO site. 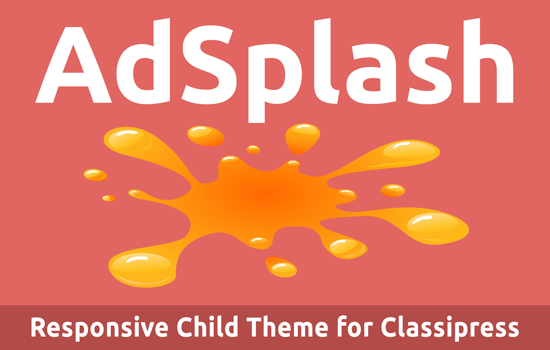 ClassiPost features an improved tab system that turns into accordion on mobile devices making this the most responsive and mobile friendly child theme for Classipress. Number of column widgets in the footer ( you can place unlimited number of widgets ). ClassiPost has a light, a warm and a dark Yellow color scheme called Sun Glow. You can also choose different colors for various elements across the site. The City field is powered by Google Maps API and includes the options to either determine the user’s current location using Geolocation or to autocomplete the location as the user types the first letters. The locations can be restricted to a specific country in Google Maps settings. The featured ads slider carousel has a better design and it is now fully responsive on both desktop and mobile devices. The ad image gallery features a wider area where users can showcase their images and is also backed by a fully responsive lightbox gallery that can accommodate the full size, original uploaded images even in full screen. The lightbox gallery can be used with the keyboard arrow keys, the mouse scroll wheel or mouse grab and is also touch enabled so mobile users can easily slide the images with their finger. Besides default pagination that exists in Classipress, ClassiPost has an optional pagination based on Infinite Scroll. Using this feature, visitors won’t have to click on page links to navigate in category pages because its enough to scroll down and new ads (pages) are loaded on the fly using ajax. This feature is optional, it can be enabled/disabled in ClassiPost admin settings. Now you can include an Adsense ad (responsive) after every 3rd ad on category pages. ClassiPost has support for Google’s new Responsive code for Adsense which means Adsense ads won’t break the Mobile experience anymore. ClassiPost has an options framework integrated so you can change some of the unique features present in this child theme. ClassiPost child theme uses custom image dimensions which means you need to regenerate your existing thumbnails for this to look fine. Valid icon names can be chosen from FontAwesome website. You can choose from over 600 icons. Make sure you’re running the latest version of ClassiPress. 1.2.2 – Fixed admin color option sanitization. 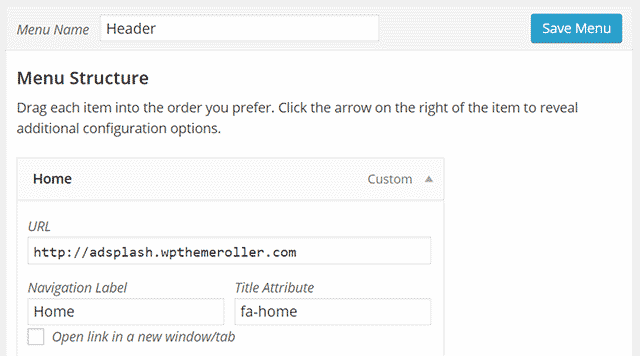 1.2.3 – Fixed contact form tab link issue. 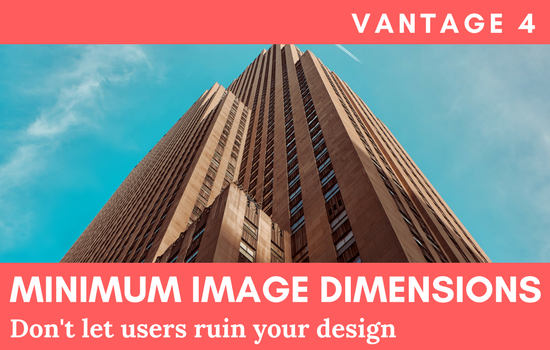 1.3.2 – Modified default image dimensions so WordPress can crop smaller images uploaded by users. Existing image thumbnails require a new Regeneration. 1.3.5 – Fixed some Firefox related bugs. 1.3.6 – Fixed reported PHP 7.1+ issues. 1.3.7 – Fixed issue with LightBox back button history. 1.3.8 – Fixed issue with Flexbox ad flow in grid view. Hi ovidiubica, if I want to change the advertisement after 4 classified ads where should I go change it? I couldn’t find it in the setting of Classipost, the default displays the advertisement after 3 classified ads! ClassiAlert plugin will not work with this ClassiPost theme. No popup action. Can you help. PRE PURCHASE QUESTION: Hello, I would love to purchase this child theme. I purchased classipress 3.6.0. last week and I have done a lot of customization, I however did not edit any code though(I am not even a programmer), so I wish to know if installing classipostwould clear all customizations made such as all the categories, custom fields, forms layout and other thing I have added. Thank you. Hi there, everything you added in the database will remain after you install the child theme. It will only change the looks of your site and add many other options. Thank you very much Ovidiu. One last question, is it compartible with the latest version of WordPress 4.8.1? 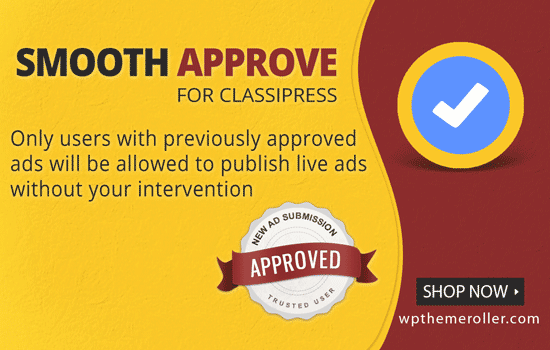 Yes, it’s up to date with both ClassiPress and WordPress. Can you show me where to go and fix this display issue? Thanks for reporting, I’ll check it out. Please use the forums for support requests. Only the admin is able to post ads. How do I fix this? Hi there, is this child theme available in Spanish? Is there a compatibility problem if I install Classipost Child Theme? Do I need to translate again Classipost? Hello, ClassiPost has some strings that need to be translated as well, not as many as ClassiPress but you’ll notice untranslated sentences if you don’t translate classipost.pot as well. I bought ClassiPress and as I anticipated I will also buy ClassiPost (I must first migrate an old java portal). If I add one or more “Custom Fields” to ClassiPress (Ads -> Custom Fields -> Add New), will they be maintained in ClassiPress? Thanks in advance and so many compliments. Thanks Claudio! Yes, they will be maintained in ClassiPost. Let me know if you have other questions. Perfect Ovidiu, kindly ask you another question: when is the best time to translate (Italian in my case) ClassiPress / ClassiPost? I wanted to understand if it’s best to apply the translation before or after installing ClassiPost theme. I read more about that your theme provides additional strings than those of the base ClassiPress theme. I have the standard ClassiPress theme, but I really like the style of your theme and would like to buy it, but I need a theme that has the option for people to upload PDF’s, as it’ll be a site for people to advertise race horses for sale, and all the breeding history of the horses is always in PDF form, can the php be edited to allow for PDF uploads alongside normal image uploads? Thanks James, the child theme requires PHP 5.5+ and you’re right, there’s an issue with PHP 7.1+ as well which I fixed a while ago. I just need to prepare a new release for this. Since you mentioned, I recommend that you use PHP7+ as it’s at least 2-3 times faster than any previous version and also lower on system resources. I like your theme. I ahave a question. I did translated into polish, uploaded po and mo files, but i see translated page only when i am logged in. When i am logged off, the homepage is not translated but when i click any link within the page i see translations. The problem is: what to do, to have homepage translated when i am logged off? Thanks debus, are you using any caching plugin? You have to flush your cache within both server and browser. The behavior sounds like server cache though. Yes. It was server cache. Thank you for support. Only one thing. I think you forgot to add one word for translation in classipost.pod file. This word is: “Featured”. It appears as a tab under the featured ads slider on homepage. Will you update the .pot file please? or tell me where can i change (translate) it? I really like this child theme and would love to buy… is there any way to make the coloring red instead of yellow? Hello, thank you for a beautiful web theme. Could you tell me how I can get rid of the text ClassiPress Theme – Powered by WordPress in the bottom footer. What is a good size for the featured pictures? Thank you in advance. Can the map be shown by default and not the description? Hi instead of putting adsense, can I put a banner ad instead? @badmaash You can but it would duplicate the banner after first ad. You would need an ad rotator to serve different advertisement. 2) How in the heck did you had that beautiful “Featured Ads” slider in the main page? 3) Where can I edit the link, and where to input the url for the “Post New Ad” button in the upper right hand corner?